Hi again! As I type the temperature outside is 1F. The wind chill is around -20F. School was cancelled all over the area because of the cold, and not just in Illinois. It's crazy cold in a big chunk of the country today. If it affects you I hope you're bundled up! I have big plans for projects this year. I'm continuing last year's plan to knit up some of my big shawl patterns. I'm also knitting a lot of socks because I love my socks...and a couple of my favorite pairs are wearing holes in the heels. I'm going to try a sweater or two, too. I have some purple yarn that really wants to be a cabled cardigan. One of the podcasts I listen to is having a hat knitalong this year. I think hats would be a good way to use up some of my single skeins of yarn and will come in quite handy on these winter days. I've been considering keeping a box to put finished things in that I can gift to people - I do know a couple of young men who might like wool hats and mittens. 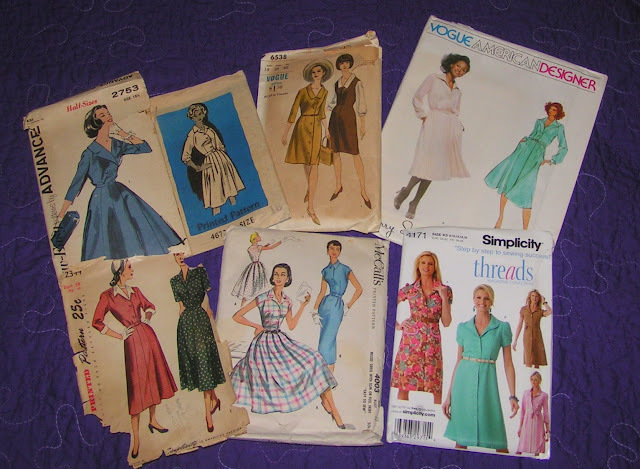 During one of my sleepless nights I realized that I have a nice assortment of shirtwaist dress patterns - ranging from the 40s to the 70s. I'd like to make a few of them up this year. I've made the oldest one before and wear it fairly often, so another one would get used. I think it would be fun to have a similar dress from different decades. I think I have one from the 80s, too, somewhere in my pattern collection...one of the blogs I read regularly said something about an Eighties Sewalong. I wonder if she's still planning it. 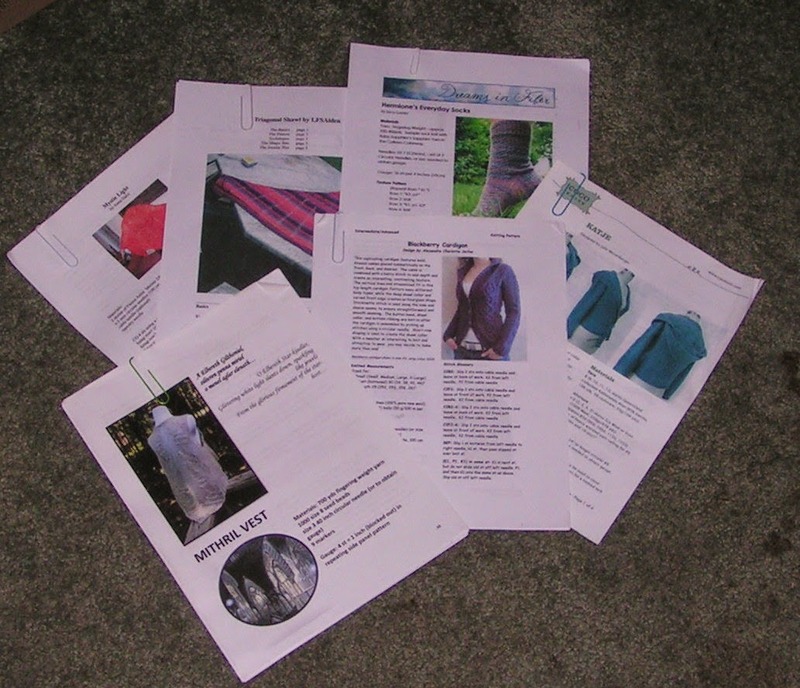 I have a few different wrap dress patterns, too, that will be in consideration to be made. If only the fabric fairy would leave me a present! I'm going to keep making things from my "Project Ideas" Pinterest board as well. Recently I asked some people if they make the things they pin and they all said no. Do you guys make the things you find on Pinterest? My final plan for this year is to get Joshua healthy. He's still not well. Eric thinks I should talk to a different vet for a second opinion. I just know that it makes me sad that the poor kitty doesn't want to play like he used to and only has energy to walk from one napping place to another. He's far too young to be a lazy cat. It's good to have some ideas and plans for projects, isn't it? I do love shirtwaisters, but struggle to get anything with buttons down the front to fit me properly. Heck yeah I do my Pinterest projects! Especially recipes and organizational stuff. And 1F??? Woah!! !